2. 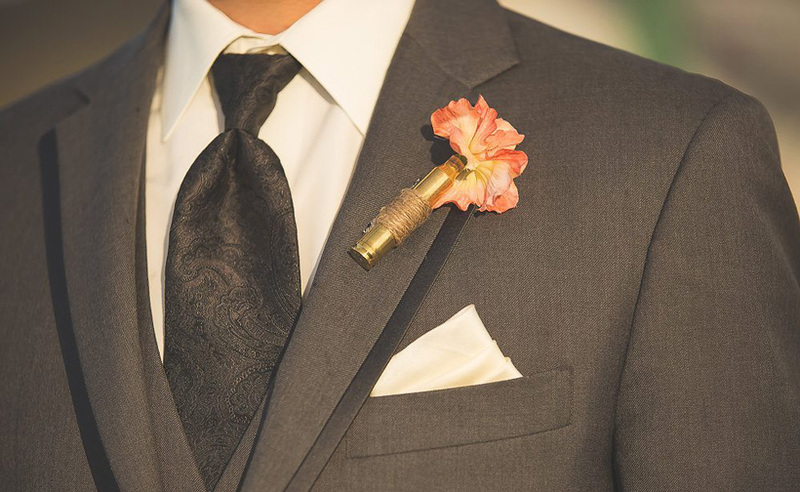 How I was going to juggle hunting with having to take time off for the wedding. As most of you married folks and soon-to-be married folks understand, planning a wedding is huge undertaking and, for me, wasn’t on my list of favorite things to do. Luckily, I was about to be married to a great woman who understands my passion for hunting and also shares the same passion for it. 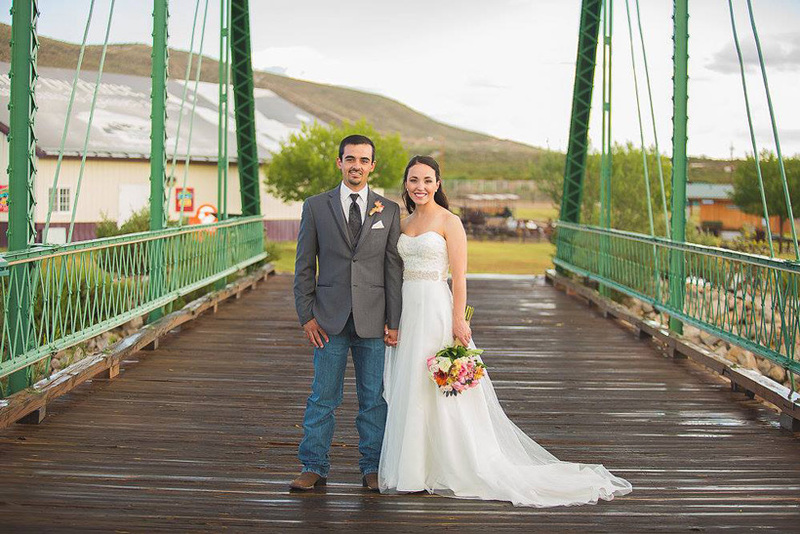 We decided to get married on Aug. 29, 2015 so that it wouldn’t interfere with hunting season. Unfortunately, neither one of drew any hunts in Colorado so we knew that we’d be doing OTC elk hunting. 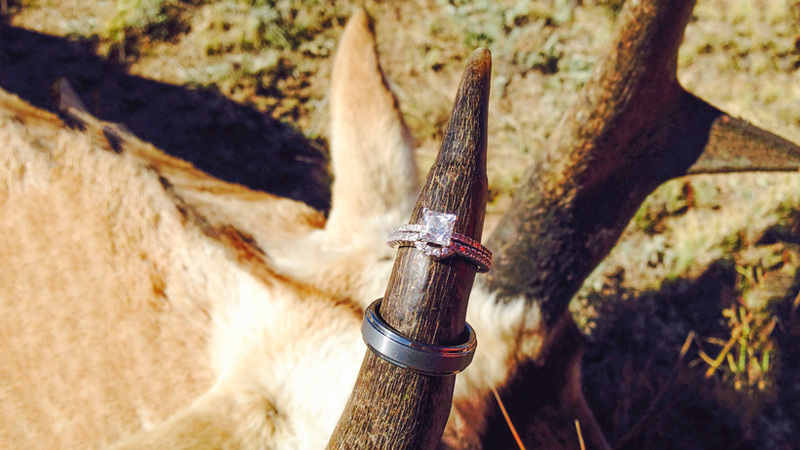 About a month before the wedding, I was browsing goHUNTS’s Landowner Tag section and I found two antelope tags that were close to where we live and on a piece of property where I previously purchased a landowner tag through goHUNT in 2014. 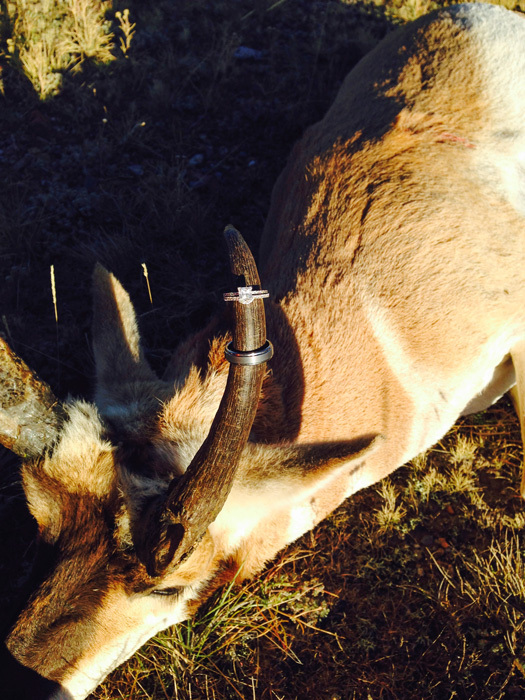 While on the ranch deer hunting, I saw quite a few antelope and knew that it was a good tag. 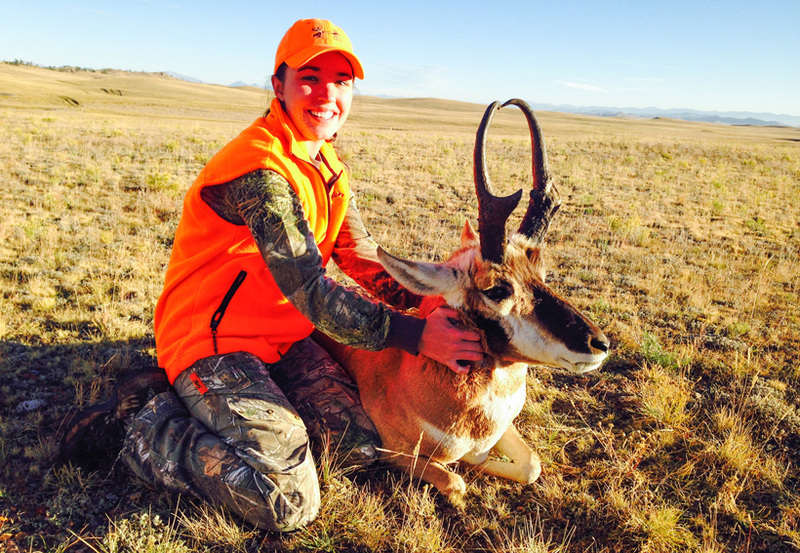 Once I got in touch with the ranch hunting manager, I found out that it had been four years since anyone had hunted on the ranch and that there was definitely trophy potential on the property. Another bonus? The hunt would fall right in the middle of the rut. 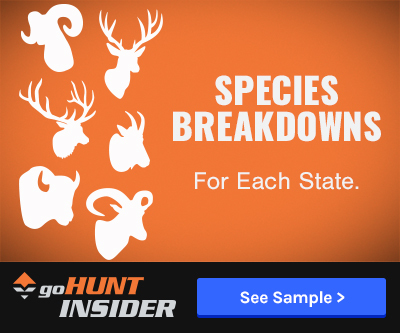 After checking goHUNT’s INSIDER research section for the unit, I saw that the trophy potential was over 70” for an antelope. And I knew this hunt was exactly what we were looking for. 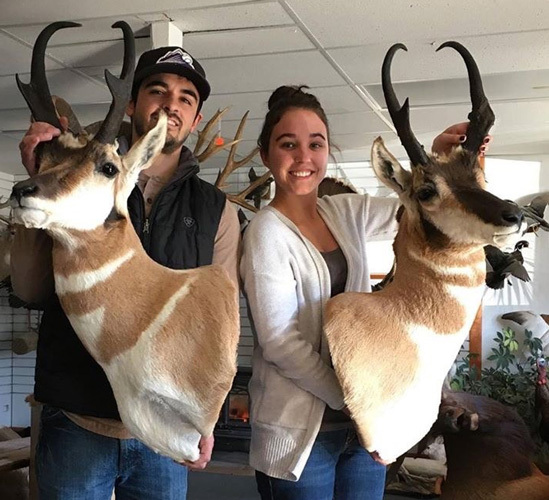 I make a quick phone call to my fiancé and filled her in: We didn’t draw any hunts, but I’d found a great opportunity for a great price on a ranch where we could both get trophy antelope. She was all about the idea and told me to pull the trigger on booking both tags on the ranch. The wedding came and went. It was basically a blur with everything going on. I can honestly say that it was the best day of my life and I couldn’t be happier to marry the love of my life. 1. We didn’t want it to interfere with hunting season. 2. We live at 10,200’ in elevation and have eight month long winters. We would be leaving during great weather and would rather go somewhere warm when we were tired of the cold and snow. We told people about the hunting trip that we were planning about a month after the wedding and we started calling it our “hunting-moon” since we weren’t taking a honeymoon right away. 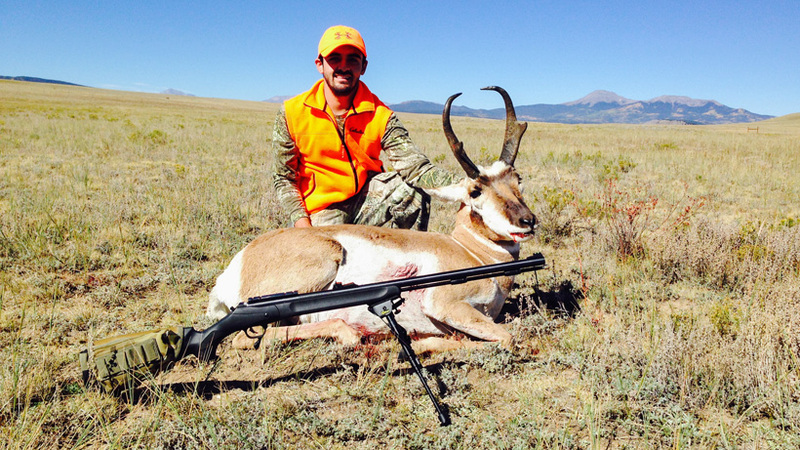 With the hunt being an open-sight muzzleloader vs. the best eyes in the business, I knew that this would be a challenging hunt and not the kind of antelope hunting that I was used to doing in New Mexico with a rifle, driving around until you found a buck and making a long shot on it. This would require a different game plan. I researched decoys, blinds, and even hats that make you look like your head is an antelope head. 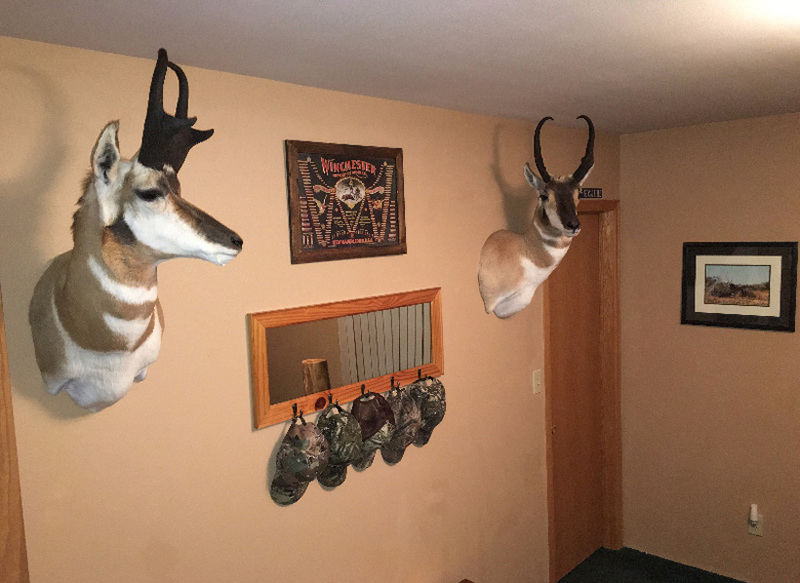 I decided on two items: the Montana Decoy Antelope Buck decoy and a ground blind. The first day couldn’t have had a better start. We crossed the cattle guard onto the ranch and about 40 yards from us was a buck! We had agreed that Leah would get the first shot and that she could pass up as many bucks as she wanted until she found the right one. This was a tiny buck with horns that barely passed his ears. It didn’t take long for Leah to decide that we would let this little guy walk. About 30 minutes later, we spotted a group of 15 to 20 does with a nice buck. Luckily, the terrain allowed us to make a stalk using a hill as cover. We got the decoy set up and started to make a stalk. As we came over the hill, the antelope were less than 30 yards from us, but hightailed out of there way before Leah could get set up for a shot. They ran about 300 yards before starting to graze again. Normally with a rifle, this would mean game over, but, instead we came up with another game plan; we decided to get in front of them in the direction that they were headed. After getting back into the truck and driving about a mile down the road, we got out and crawled about 500 yards in order to set up for the herd feeding our way. We had the decoy set up and we were lying below it. 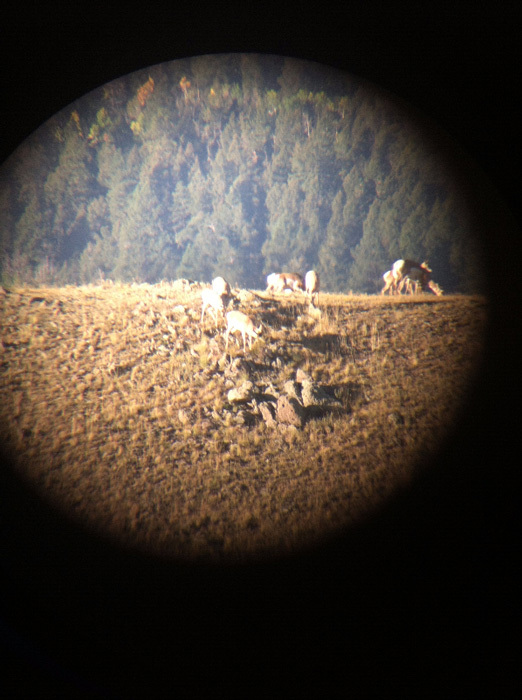 The herd made its way to 118 yards before noticing the decoy. Once the does saw the decoy, they took off. The buck; however, stayed staring it us for a good 20 to 30 seconds. Leah wasn’t comfortable with the shot and, eventually, the buck cared more about getting back to his does than this little buck decoy. On the way back to the truck, Leah told me that I could be the one to take the next shot. This muzzleloader hunt was only two hours old, but already starting to become frustrating for the both of us. Since the ranch wasn’t all that big, we headed back the way we came. We end up seeing a buck at a water tank and I figured that it was the little buck that we saw first thing in the morning. I was going to keep driving, but Leah told me to stop because she thought that this was a different buck than before. Sure enough, this one was a lot bigger than the previous one. I thought that it was weird that this buck was all by himself without any does. I decided to ditch the decoy. Instead, I used the terrain and belly crawled to get close. When we walked up to him, we couldn’t believe the size of his body. We were used to New Mexico antelope that were desert dwellers and a lot smaller in stature. For this antelope, I’d underestimated the size of his horns based upon his body size. He was a mature buck with nice length, mass, and prongs. We dressed him out and headed to the taxidermist. Once we arrived there, our taxidermist told us that he was the biggest buck that he had seen in probably five years from this area. The buck ended up right at 13” on both sides. The next day started the same as the first. We spotted the tiny buck and were within 50 yards as he walked without a care in the world. 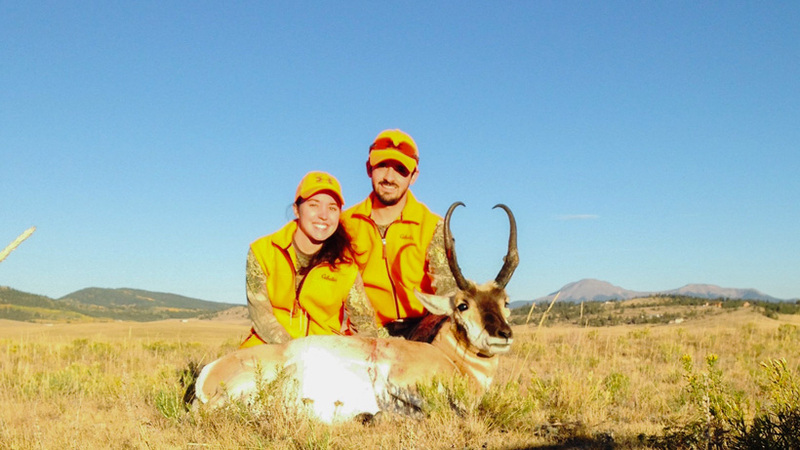 This time, though, it was a little bit harder for Leah to pass him up after seeing how frustrating it could be trying to get close enough for a muzzleloader shot. But, she decided to pass on him again and we decided that she would take him on the last couple days of the hunt if he presented a shot. The rest of the day consisted of does messing up our hunt. On three separate stalks, it was the same thing: does spooked, buck hung back, but doesn’t want to let his does get too far away from him. Monday comes around and we both have to return to work. We would have the last three days of the hunt to chase them again. We headed out to the ranch on Friday and, to our surprise, we didn’t see the small buck in his usual hang out. We drove about a mile onto the ranch and spotted a very nice buck 103 yards off the road. I dropped Leah off and continued driving. The buck was more concerned with the truck and never even noticed that she got off and had her sights on him. He went back to feeding and she set up and took the shot. She ended up missing, aiming a bit low. At this point, she was really bummed about missing the buck. I told her to stay calm, be confident, and that she would have another opportunity. A couple more miles down the road, we spotted the buck with the big herd of does that we chased on the first day. Judging from the buck she just missed, they weren’t scared of the truck. Instead, they spooked when they saw us—two-legged animals! We drove up and, from the truck, ended up 67 yards away from the herd. Leah got out on the opposite side of the truck with the decoy and I kept driving. This time, the buck was definitely interested in the decoy and walked toward it about 10 yards. 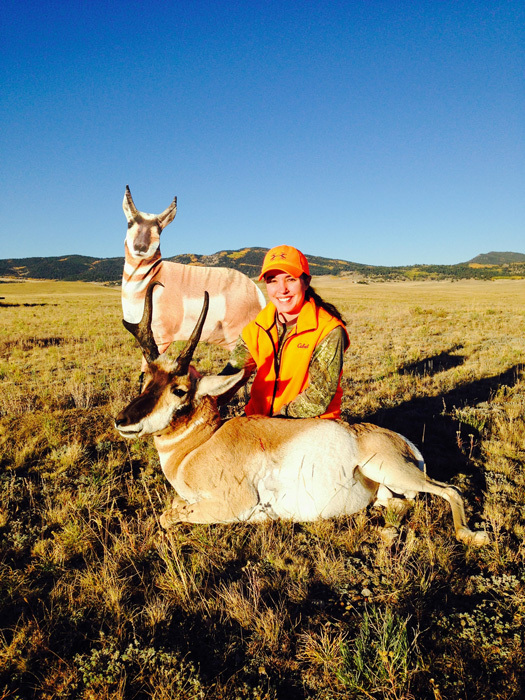 He turned broadside and Leah pulled the trigger at 57 yards, dropping him in his tracks. When we walked up to the buck we noticed that he was definitely the boss of the ranch. He was the only buck that had does with him and he had a busted digger on his left side. His horns were longer than the buck that I got and he also had extra character thanks to that busted digger. The buck ended up having horns a little over 14”. Our taxidermist once again said that he couldn’t believe that we were able to get another big buck after taking the last one in. 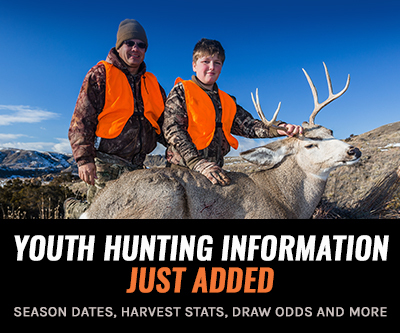 Huge thanks to goHUNT for making this happen with their Landowner Tag program and the INSIDER research section for making this a successful “hunting-moon.